Latest advancements in information and communication technologies offer great opportunities for modernising policy making, i.e. increasing its efficiency, bringing it closer to all relevant actors, and enhancing its transparency and acceptance levels. 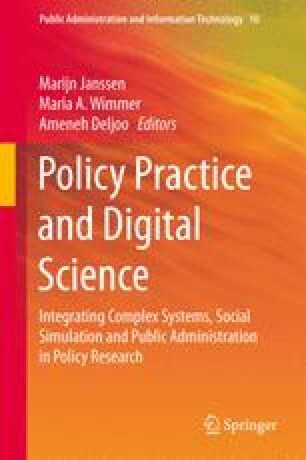 In this context, this chapter aims to present, analyse, and discuss emerging information and communication technologies (ICT) tools and technologies presenting the potential to enhance policy making. The methodological approach includes the searching and identification of relevant tools and technologies, their systematic analysis and categorisation, and finally a discussion of potential usage and recommendations for enhancing policy making. This work is partially funded by the European Commission within the 7th Framework Programme in the context of the eGovPoliNet project (http://www.policy-community.eu/) under grand agreement No. 288136.